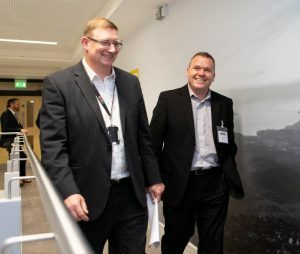 Calderdale College has launched a new skills service, Rise, which will give businesses a competitive advantage, helping them to improve workforce efficiency and address skills shortages. Rise (Realising Improvement in Skills and Expertise) is available exclusively through Calderdale College and is an inclusive service delivering support, advice and training tailored to each business’s needs. Bringing together a broad range of services and support packages, the service offers everything from an organisational skills assessment and training courses, to apprenticeships and information about funding available for staff training. More than 3,000 businesses across the Leeds City Region have already benefited from the support available from Calderdale College. Leeds-based BW Legal is one of the many organisations that has already accessed the services offered and Samantha Cooke, Learning and Development Manager for the legal firm, wouldn’t hesitate to recommend it to other businesses. Samantha said: “Throughout 2018, one of the areas we focused on was offering our management teams opportunities to upskill. We wanted them to feel equipped to handle difficult situations in the workplace with more confidence and take those learnings to streamline some of our internal processes. “We found the training sessions to be clear, concise and collaborative, while engaging each individual in the room and supporting all learning preferences. Ebrahim Dockrat MBE, Director of Commercial Services and Partnerships at Calderdale College, said: “We’re seeing huge skills shortages in key sectors, including digital and creative, construction and health and care. Rise will support businesses within these and other sectors to close the skills gaps and give them the capabilities needed to fuel growth. For more information about Rise or to arrange an initial skills assessment, visit www.calderdale.ac.uk/employers call 01422 418430 or email employers@calderdale.ac.uk.